The traditional pre-match walk around Kharkiv Palace hotel did not last long, however, it charged the squad and numerous fans with positive emotions anyway. The mood of the Orange-and-Blacks is excellent. The weather adds positive emotions as well: the skies have been clear in Kharkiv since morning, with the temperature of +26 degrees. After lunch and rest, the champions of Ukraine will leave for the stadium. 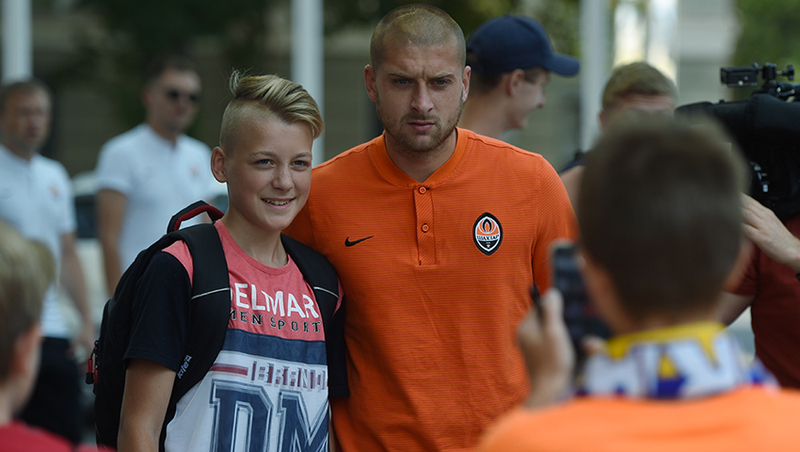 The major encounter of the Premier League round 2 Shakhtar vs Dynamo kicks off at 19:30 at the OSC Metalist. The clalsh will be aired live on Futbol 1 TV channel. Follow the text commentary on shakhtar.com. Sign up to the FC Shakhtar accounts on Telegram and Viber and receive instant messages about match line-ups, the goals scored and the outcomes of Shakhtar’s every game.